After launching the adidas Samba primeknit - the first boot to combine the unique comfort and responsiveness of playing barefoot with the protection of a traditional design - adidas is now giving it an exciting twist – a brand new black and white melange colourway. The limited edition boot (available from today, Monday July 21st) has an upper that is knitted from heel-to-toe, providing a bespoke second-skin fit that retains the strength of a conventional boot. The launch of the samba primeknit earlier in the year marked the latest chapter in a rich history of revolutionary adidas football products. Further cementing it as one of the key technologies at the heart of adidas innovation, the new black and white colourway provides a stylish update that reflects the latest fashion trends and is sure to excite the modern football fan. New levels of flexibility and comfort are provided by the one-piece knitted upper of the boot and the yarns used to construct primeknit provide stability and strength equal to conventional boots. Each yarn receives a high precision coating that guarantees water resistance even in the most challenging conditions. 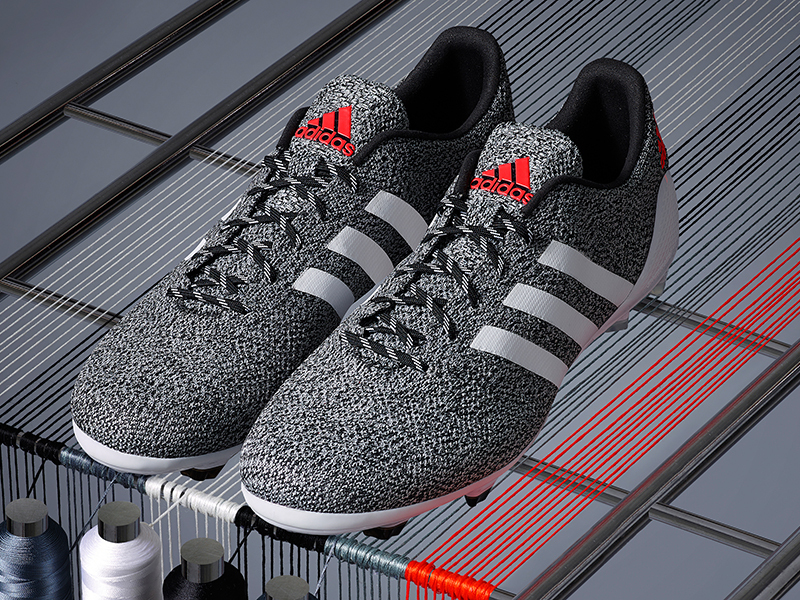 The advanced production techniques used to make primeknit also allow for the one-layer upper to be constructed with zones catering to various performance needs, ensuring that the adidas primeknit caters to all aspects of the game. The design's one-piece upper is constructed without any wastage of material; making the primeknit adidas' most sustainable football boot and the start of a brand new revolution in adidas football footwear. The adidas Black and White primeknit is available from Monday July 21st for purchase in selected adidas retail outlets, associated stockists and via www.adidas.com/football. Join the adidas football conversation at www.facebook.com/adidasfootball or on Twitter: @adidasfootball #allin or nothing.